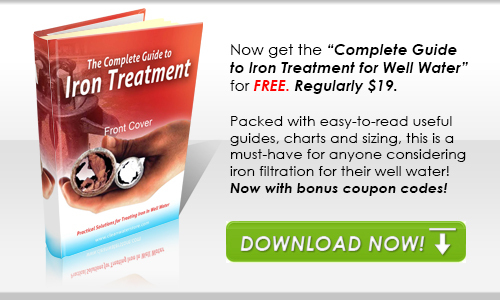 Clean Well Water Report: Should I mix MangOX media with sand? Should I mix MangOX media with sand? I wonder if you can offer me some advice. 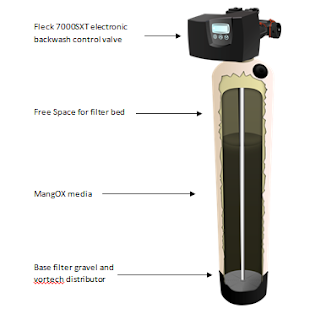 I have installed one of your filtration systems in the UK, at my home, the supplier has advised me to mix the MangOx with sand at a ratio of 3 parts sand to one MangOx, but when i have looked at your site it simply shows the filtration vessel containing MangOx(no sand) with gravel at the bottom. Can you advise what is the best practice? Is it best to use pure MangOx in the filtration vessel on top of the gravel, and leave out the sand? You can use sand in a tank with MangOX, but we don't advise it as it not necessary. Generally, if you want better iron/manganese filtration, use more MangOX. Our MangOX systems are sometimes mixed with sediment filtration media, though I would usually recommend using more MangOX than just a 25% composition, perhaps filling the tank at least with 50% MangOx.